Meanwhile, here’s a true story (most of mine are ;-)) about letting go of the old and stepping fully into the new! I suggested he could drop the “going into” and just say “I’m in Grade 2!”! He looked at me in a puzzled way, and then I explained to him that if there were school tomorrow (which there isn’t and he’s glad of! ), he would be in Grade 2. Often when we have completed something and are embarking on something new, we don’t truly step into owning it until we have the evidence clearly in front of us. My grandson is a Grade 2 student. At his school he is on the list for Grade 2. Just because it hasn’t started yet he felt he couldn’t define himself that way. What’s on your list that will manifest more quickly by you stepping fully into claiming it? My grandson’s eyes lit up when he tried on “I’m in Grade 2”! Find the light in your eyes when you claim who you really are. You’ll discover it becomes more real and therefore it will manifest more quickly. Kids don’t need to manifest September easily or quickly, they just need to enjoy summer – and we can all take a lesson from that as well. Claim where you’re going and then thoroughly enjoy the space between here and there! I forgive myself for believing I need to stay stuck in the old pattern. I give myself permission to acknowledge where I’m headed and claim it. I can keep myself in a holding pattern or I can step into where I’m headed. I choose to step into who I really am and create it! I am claiming who I really am and my eyes are lighting up! I’m beginning my next “grade” NOW! Ready for your “next chapter”? Join me for Inner Critic to Inner Coach. Upcoming dates and locations are listed here. It’s my gift to you – complimentary! Remember how summer holidays felt when you were a kid? Enjoy these beautiful summer days and imagine where you’d like to be in September! Begin by claiming it today! 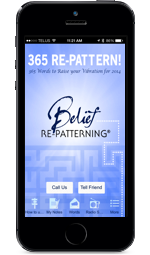 The post Claim Where You're Going appeared first on Belief Re-patterning.